I had two jade plants that both got powdery mildew and were slowly dying. One was my mother-in-law's and the other one was my mother's so I didn't want to lose them completely. I broke off the good pieces at the joints and removed any leaves that looked infected. 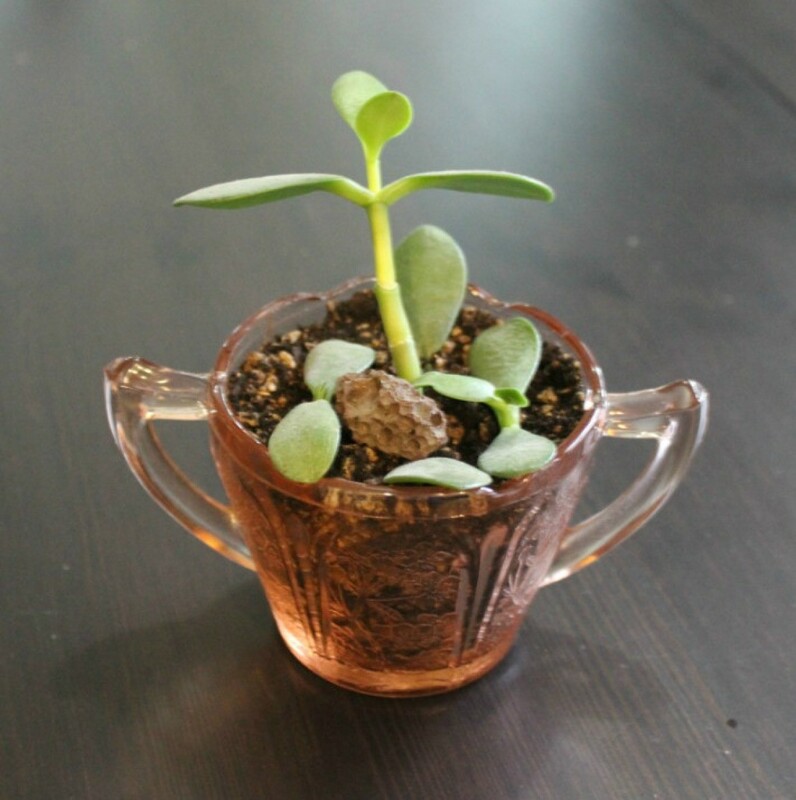 If all you can salvage is a big leaf that is fine too, as jade plant leaves can root too. I purchased cactus mix soil and filled up the new containers. Then I just poked the pieces into the soil, deep enough that they could stand up on their own. They are both doing really well. Every once in awhile, a leaf will begin to show signs of not being healthy so I simply remove it, along with any leaves that have fallen off. It is important to remove any dead or dying leaves to keep the plant healthy. 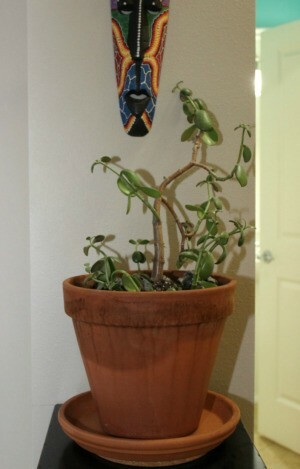 Jade plants are wonderfully hardy. 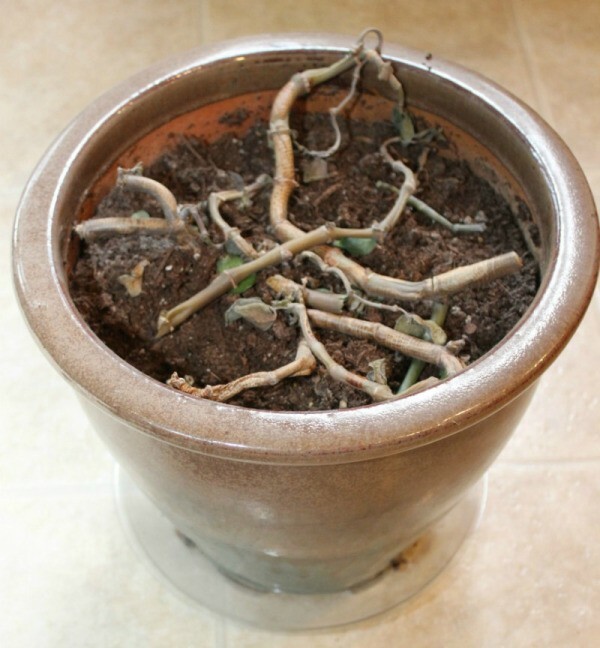 You can simply stick a leaf or branch in a pot and it will root without any help at all! To re-pot a jade, get a pot a little bigger than the one it is currently in, put a little bit of fresh soil on the bottom, tap out the existing plant and set it in the new pot on top of the new soil. Then carefully add new soil all around the edge, packing it in some with your fingers. Then water lightly, and you should be good to go.